In many Chinese families that I know, soup is an important part of their daily meal. Some of my friends told me that having a meal without soup is definitely an incomplete meal. 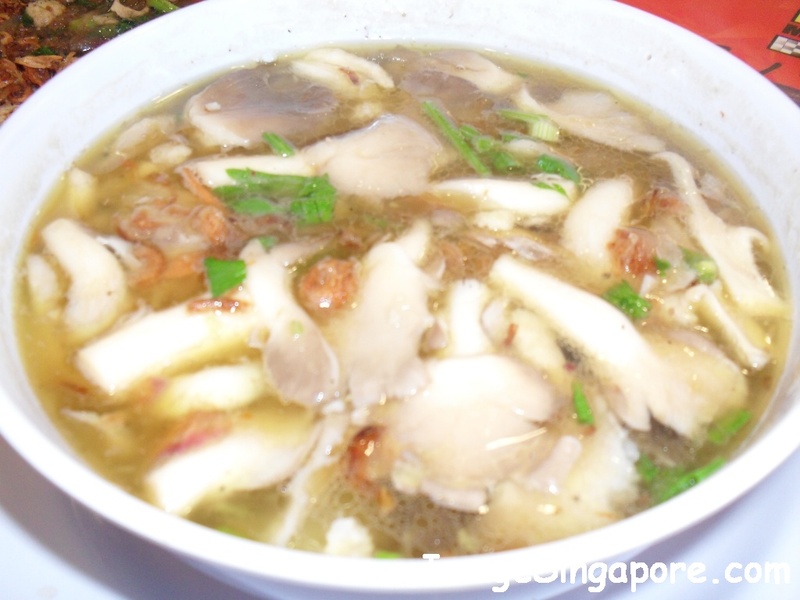 Traditionally, Chinese families whether they are in Indonesia, Singapore or Malaysia will have a bowl of clear soup as part of their meal. Surprisingly, many of my Indonesian Muslim friends also love clear vegetable soup. I love mushroom soup. The western menu of a mushroom soup normally refers to cream mushroom soup. Though I do enjoy cream mushroom soup, it is not my favorite soup. 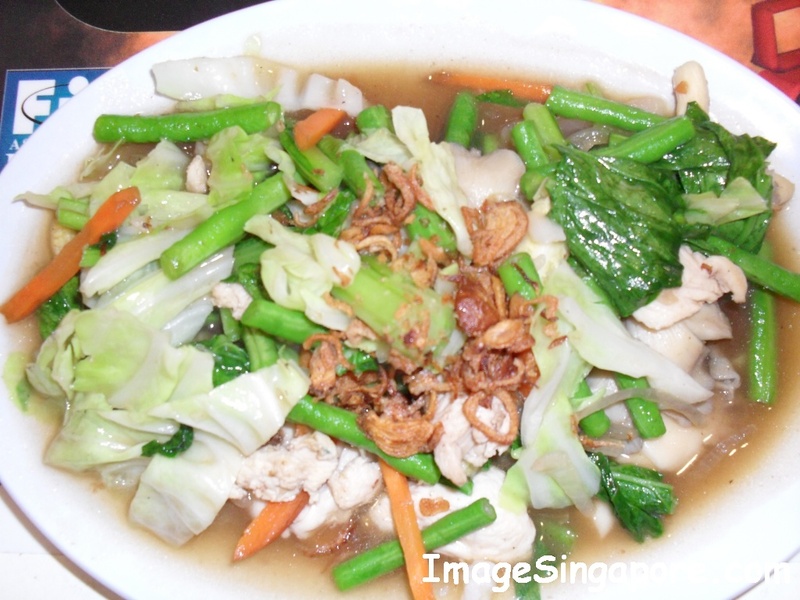 Personally, I prefer the Chinese style clear mushroom soup ( without any cream) where fish or chicken along with other vegetables are added to make this soup. 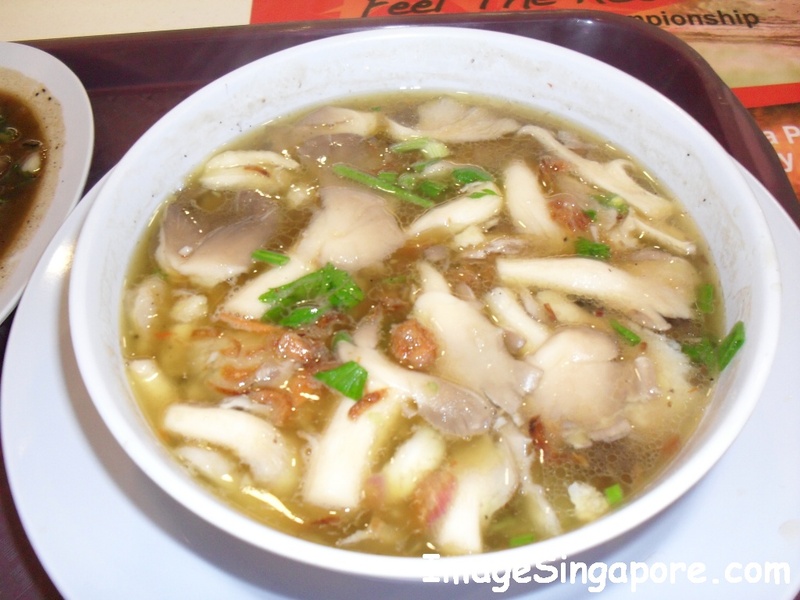 Normally oyster or abalone mushroom are used to make this soup. It is a simple and yet delicious soup that you can cook for your family. All you need to do is to have a pot of water, add some chicken meal, carrots or other vegetables like lettuce or cabbage and oyster mushroom and let it boil. I normally do not add oil because the chicken meat itself has natural source of oil. Just add some light soya sauce and pepper and boil the soup for half an hour; and it is ready to serve. As we all know, the benefits of eating mushroom is enormous. For thousand of years, Asian having been consuming mushrooms both as a food and as well for medicinal purposes. If you go to the pharmacy or health store today, you will see health pills that are made from mushrooms. But why consume expensive mushroom pills when you can actually eat it fresh on a daily basis. Mushrooms contains lots of minerals, antioxidant and vitamins. In Indonesia, mushroom is commonly called Jamur. If you want to order mushroom soup in Indonesia, it is called Bakso Jamur. Normally it is serve with vegetable and/or with fish. It is a clear soup ( without the curry and heavy spices) which is light on your stomach and easy to eat. When the durian season arrives, you can lots of fruit stalls and supermarkets selling this King of� Tropical Fruits. Durian are produced in Indonesia, Thailand Brunei and Malaysia. In my opinion, the best durian are from Johor Malaysia. There are so many types of durian that most consumers are confused.� Some of these have weird names like D24, D13, XO durian, Mao Shan Wang etc.� When there is a good harvest, the durian prices will fall to as low as $1/- for a small normal durian ( these are durians with no fancy names ) , and are placed together in large baskets. Durian is not my favorite fruit though it may be known as the King of Tropical Fruits. But I do eat them if there is someone who is there to share the meal with me. I am not able to finish eating a single durian by myself. Customers have� their peculiar ways to choose a good durian. Some people will shake it, smell it or do both, while others may pick it up and exam it like a expert. For myself, I simply asked the durian seller to choose a good durian and he will choose one and open it up for me to see.� My budget is normally about $8/- to $15/- per durian. I like those durian that are not so sweet and with a slight bitterness in taste. I understand from one seller that these durian are from Pahang Malaysia. It is well known that durian is a heaty fruit. It is also a fruit which contains a high amount of sugar, fats, fiber and protein. Some even swear that it is an aphrodisiac fruit. No wonder so many older men love it. I understand that durian should be consumed in moderation for those who are suffering from high blood pressure.� I do know that after consuming durian, I do experience a mild hangover effect on my head. But friends tell me that it may be due to the warmth effect of this fruit on my body and advise me to take more cooling fruits like water melon or drink Chinese tea. If you are not able to consume the durian fruit, there are now many products that are made from durian. There are durian flavor cakes, biscuits, candies, ice cream, milk shakes and drinks. But nothing can beat the real thing – that of eating a durian. I notice that there are now fruit stalls that sells durian where they now provide tables and chairs for customers who can pick the durian and eat it on the spot. I choose to eat it at the durian stall because it is convenient to do so; and specifically telling the stall owner that I am consuming it here, he will choose a good durian for me. A number of people from Indonesia have told me that they love our Singapore Chicken Rice. It is tasty and fragrance; and it always makes you wanting to eat more of it. Indeed, the Hainanese chicken rice that is sold here is unique and internationally well-known. I have tasted chicken rice that were sold in the food courts in Jakarta. Most of them claimed that it is the authentic Singapore Chicken Rice. But upon tasting it, it is just fake. The taste is flat, the rice does not have the same aroma that makes Singapore chicken rice distinctive. 1) obviously the first thing to do is to buy a chicken. Get a medium size whole chicken say approx 1 to 1.2 kg will do. You can buy fresh chicken easily in Indonesia. Ask the seller to remove the head (neck) and the rear end. You can of course keep it if you someone who loves eating chicken neck and bottom. Personally, I will skip it. 2) now that you have the chicken, what’s next? Yes, it is the rice. Use about 4 to 5 cups of rice – approx 1 kg. Wash and rinse it properly. Try to use fragrance rice, it taste better. 3)� 2 cucumber. I love eating cucumber. Put them in a fridge. For this menu, you need to wash the cucumber and then slice them. Cucumber taste good even when it is uncooked. It taste better when it is just remove from the fridge – totally cool cucumber. 4) The rest of the things that you need are – rice wine (Optional).� Get those chinese cooking wine. You need approx 1 tablespoon Ginger – sliced about 10 of them. Garlic – about 6 – you need to peel and keep them as whole. Red chillies – about 10� pieces. Sugar – 1 tablespoon. Salt – about 1 teaspoon. Now for the cooking part. The chicken needs to be placed in a steamer. Just add water and steam it for about approx half an hour until the whole chicken is well cooked. Alternatively you can placed the chicken in a pot with about 10 cups of water, add ginger, garlic and half teaspoon of salt and boil it for about 40 minutes till it is cooked. Do not throw away the chicken broth, you need it for cooking the rice. You can now removed the hot cooked chicken, just rub a little of salt and rice wine ( outside and inside ) and just wait for it to cool. Then you can slice them in portions. Next, heat up the wok – add sesame oil ( just a little), 5 slices of ginger and then the rice. Stirred fry the rice for about 10-15 minutes until the rice seems to look rather light and there is no more moisture in them. Remember the rice that you are cooking here has not been cooked. You need to pour these rice into the rice cooker. Add the chicken broth that you have kept – approx 6 cups, garlic and a little salt and then cooked the rice in the rice cooker. Once the rice is cooked, it has the unique chicken rice aroma, it is then ready to be served. Now for the chilli sauce. Take 6 to 10 chillies, 3 slices of ginger, one or two garlic, 1/4 teaspoon of salt, 2 teaspoon of lime and 1/2 teaspoon of sugar, add some hot water, blend them until it becomes paste. Now that the cooking is totally done, you can served the chicken slices with the cool slice cucumber placed at the side. Some people loved to eat chicken rice with dark soya sauce. You can get dark soya sauce from any supermarket. Just add it to the chicken rice itself or placed it in a small sauce bowl as a dip for the chicken itself. Chicken rice is a simple and yet a delicious meal that the whole family can enjoy. You can prepare a jug of ice lemonade or even fruit juices to go with it. Y Alternaltively, if you are a coke addict just like me, nothing beats a glass of ice cold Coke. I like to acknowledge with thanks Ms Candy Chai for her valuable suggestion and comments in this preparing this recipe. Normally when checking in into a hotel, most hotel will provide complimentary tea/coffee sachets and mineral water as a standard service to customers. There are some hotels that provided me with baskets of fruits and chocolates. This is thoughtful, as it means that the hotel do make an effort to reward its customers. Recently when I was checking in into a hotel, the hotel give me 2 bottles of soft drinks. They are namely Fanta and Sprite. What surprises me was that they are in glass bottles of 200ml. I have not seen Fanta and Sprite in glass bottle for years. It was really a pleasant surprise. Straight away it brought back fond memories of myself as a kid – the young man who had enjoyed these carbonated drinks from glass bottles. Fanta is a carbonated fruity drinks that has been around for years. It is from the Coca Cola company and the target customers are mostly the young and teens. It comes in fruity flavors of grapes, orange, strawberry and I was told in some countries there is also pineapple flavor. I have tasted all except the pineapple flavor. I just wonder where I could get Fanta in pineapple? Most of the time, you can buy Fanta in the form of cans or plastic bottles. So I was delighted to see it in a small glass bottle. I consider the content of 200ml in the bottle as an adequate volume for me. The strawberry flavor Fanta tastes sweet and bubbly. I think the taste has not change much throughout these years, which is a good thing. After all, it was a favorite drinks for many kids many years ago and it is still popular with many Indonesian kids right now. Sprite is another of my favorite drink. The competitor of Sprite is of 7up. Sprite is also produced by the Coca Cola company. Sprite is a lemon lime flavor carbonated drink that also taste sweet and bubbly. However, the content of Sprite is crystal clear – unlike Fanta which is colorful. Sprite is best enjoy cold especially on a hot day. Personally, I find Sprite as a enjoyable thirst quenching carbonated drink. The glass bottle of Sprite is colored in dark green which perhaps is a representation of lime or lemon. So there it was, 2 delicious carbonated drinks in a beautiful glass bottles. Did I finished it? You bet – it was definitely enjoyable. I regret however of not bringing the empty bottles back to my home. I forgot about it. I wanted to keep it as a momentos. Next time when I do see it again in glass bottles I will buy it and bring it home with the content intact. I was in my final evening in Bandung before returning to Jakarta the next morning. I wanted to find a small authentic Indonesian restaurant where I can have my dinner. I walked out from my hotel and strolled on the streets, looking at the shops and eateries. Nothing special caught my eyes till I saw a billboard on the pavement. The word Warung Cepot caught my eyes. It wasn’t just a billboard, in fact there were couple of them promoting this place. I looked at the exterior of the restaurant. It was a small wooden house with attap (covered with coconut leaves) roof. As you approached the entrance of the restaurant, you can see a cepot (puppet) like figurine that resembled a chef. Small fountains and wooden carvings will greet you as you enter the restaurant. The interior of Warung Cepot is totally made of wood, brick and stones. Even the tables and chairs are made of traditional hard wood. It has the feel of an authentic Indonesian restaurant. The waiters’ uniform is that of a traditional Javanese costume. On display are cepots ( puppet) that are traditional Javanese; displayed with a backdrop of a beautiful batik cloth. The food that is offered here is Sudanese food. By the way, Sunda is an ethnic group in Java. It is in fact the second largest ethnic group in Indonesia. If you are not sure what to order, you could looked at the menu or asked the waiter for a recommendation. However, take note that the waiters there do not speak good English. I decided to order the followings: – Nasi Cepot, Tahu Korowot, Nasi Sangrai, Ice Cincau Hijau ( a sweet cold beverage) and Jus Alpukat (Avocado Juice). There are so many variety of food in the menu, which I love to try but I am not a big eater. The waiter gave us complimentary Indonesian crackers and tea to start off our dinner. The cracker is dry and crispy and if you liked to have more, just take more, it is on the table. The warm tea is light and warm, just similar to Jasmine tea. If you enjoy eating the crackers, you can order some as takeaways. When the food arrived, it came in quite a generous portion. I loved the fried rice that was served together with eggs, vegetables and crackers. But the real highlight of the evening was the Tahu Korowot. 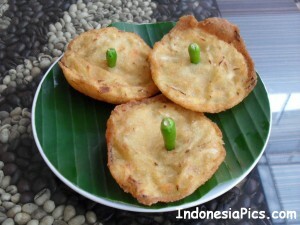 It is basically bean cake that is stuffed with many delicious fillings. It is crispy (deep fried) on the exterior but soft and warm inside. You can taste the yam, mushrooms, prawns and vegetables – it is simply delicious. Dip it on the chilli sauce and it taste even more heavenly. Sundanese food unique feature is the use of spices and chilli or chilli sauces. However, don’t have idea that the food is hot and spicy, it is not. 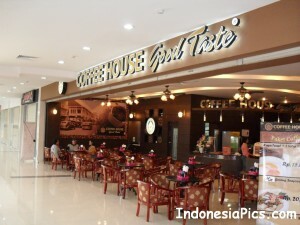 If you loved coffee, try some authentic Javanese coffee. It is not the same Java coffee that you get from Starbucks or Coffee Bean. 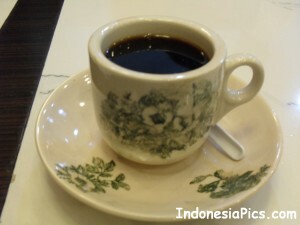 It is THE original Javanese coffee. It was an enjoyable dinner and I loved to come back to this restaurant if I am in Bandung again. 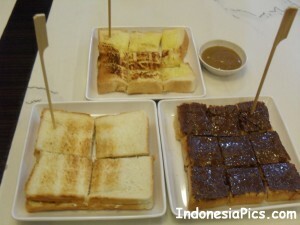 The location of this restaurant is at 96, Jl. Pasir Kaliki, Bandung.